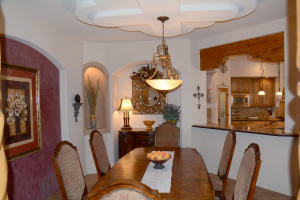 Elegance and charm abound in this fabulous Tuscan designed home. 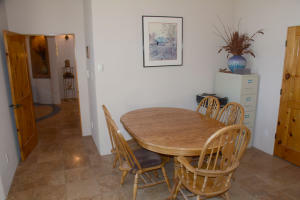 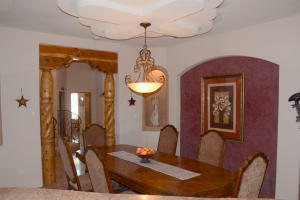 Open floor plan with large greatoom with high beamed ceiling and formal dining room. 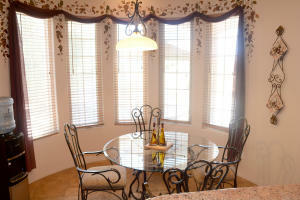 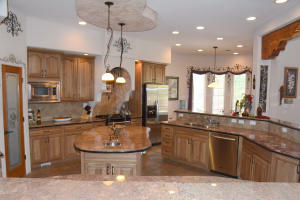 Gourmet kitchen has custom cut granite countertops, stainless appliances, hickory cabinets breakfast nook and walkin pantry. 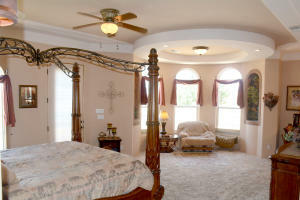 Large main floor master suite with sitting area and bath with stone sinks, jetted tub and separate shower. 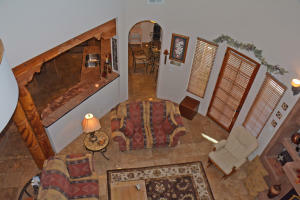 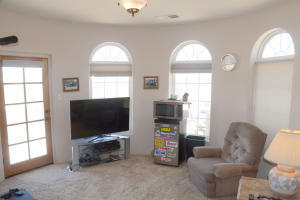 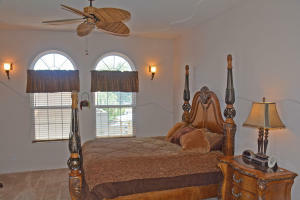 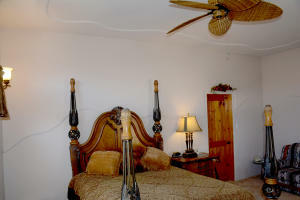 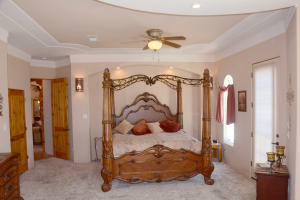 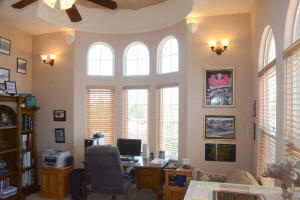 Guest bedroom and bath on main floor plus two additional bedrooms, TV room/gameroom/bonus room, loft and bath upstairs. 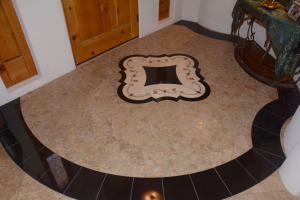 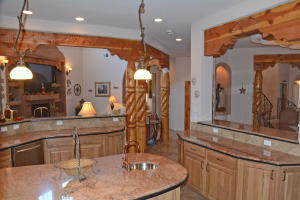 Custom features include designed stone work, carved woodwork and ornate staircase. 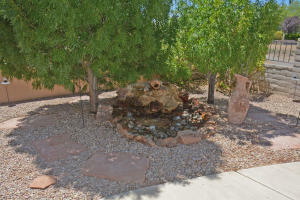 Spacious courtyard has stone pillars and fountain. 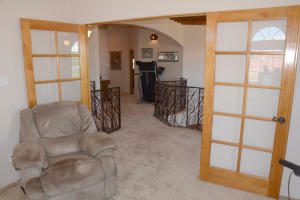 Three car garage includes RV garage with 16ft door. 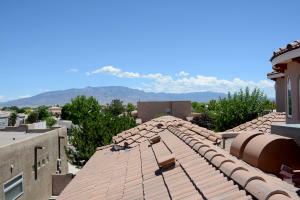 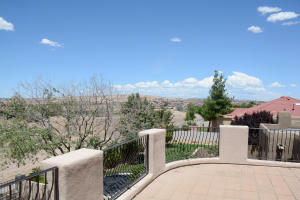 Several balconies offer scenic vistas and mountain views. 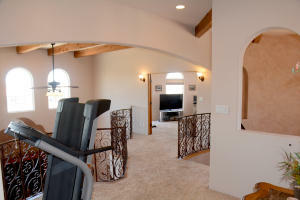 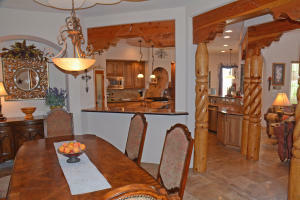 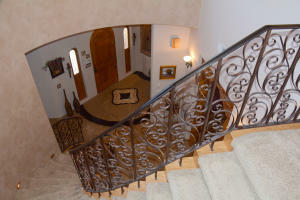 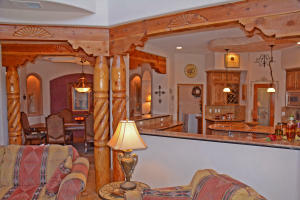 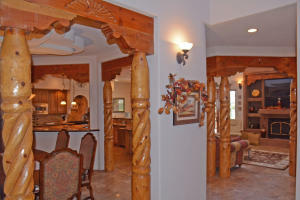 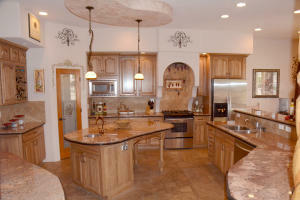 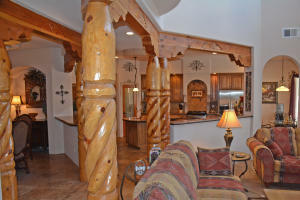 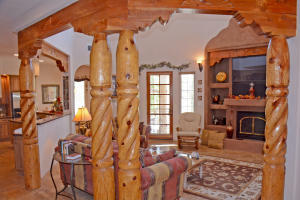 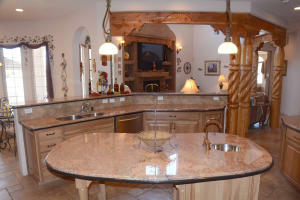 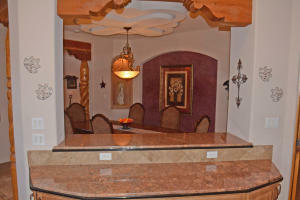 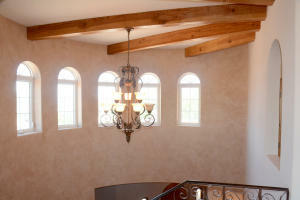 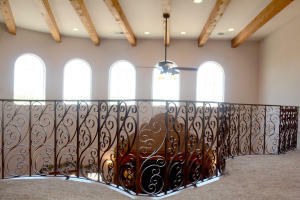 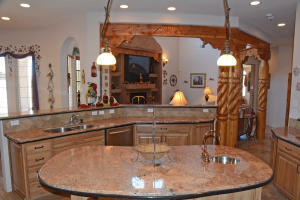 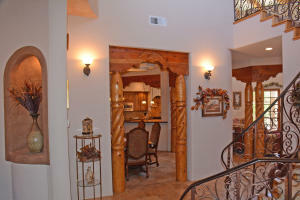 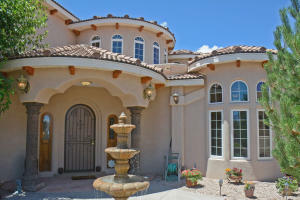 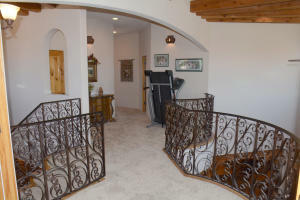 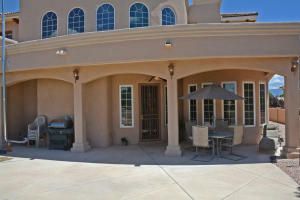 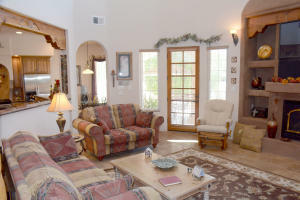 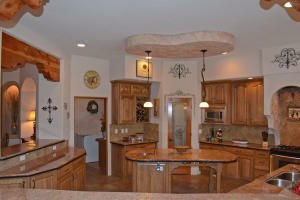 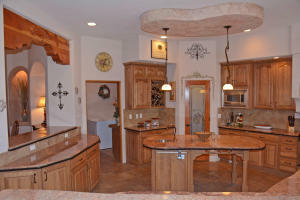 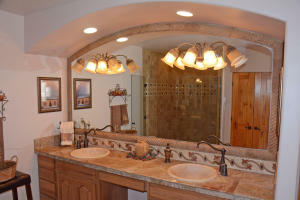 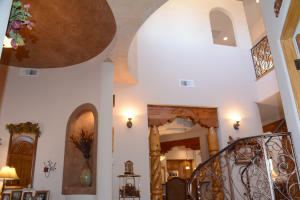 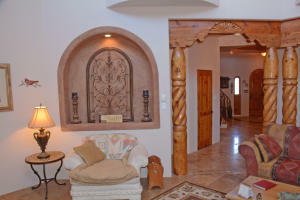 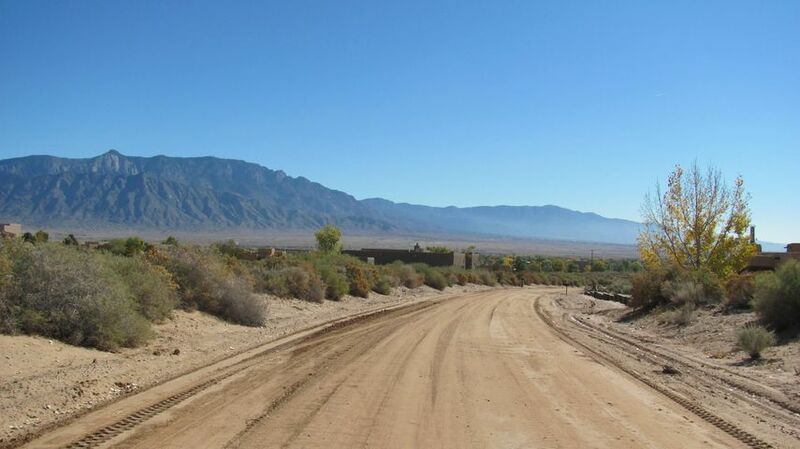 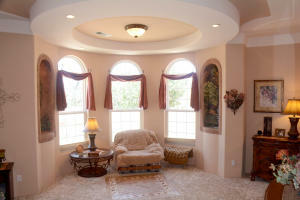 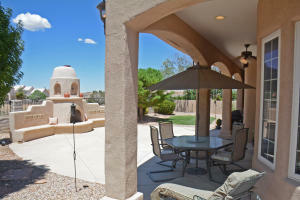 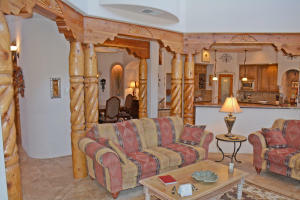 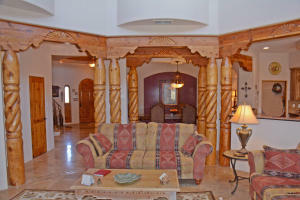 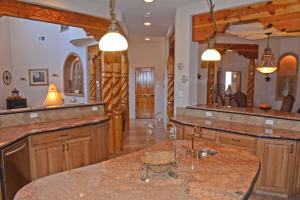 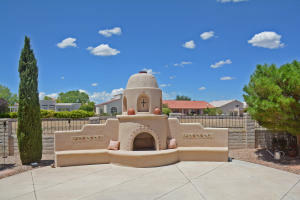 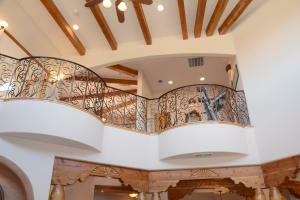 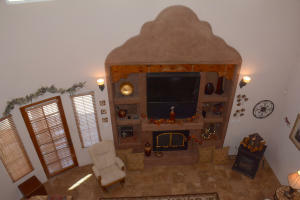 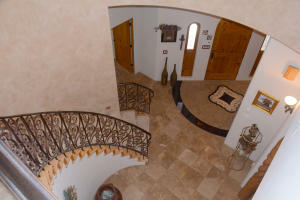 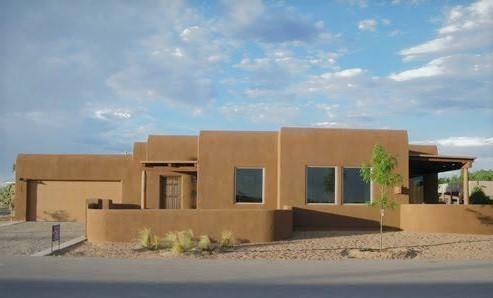 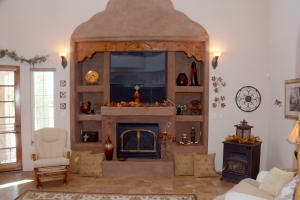 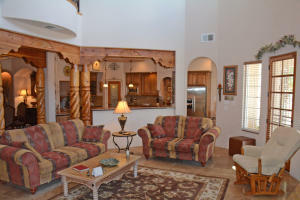 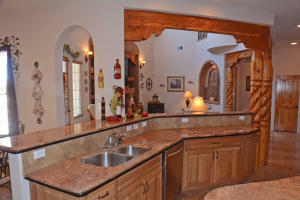 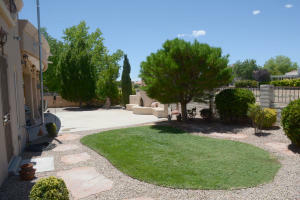 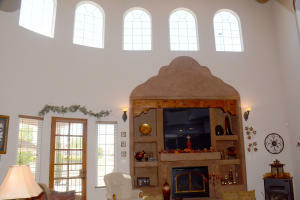 This is one of the finest homes in Rio Rancho.